The title is obviously an allusion to Hannah Arendt’s famous phrase, “The Banality of Evil”, which she said regarding Adolf Eichmann after seeing him sit inside the glass box in his trial. Arendt, together with Orwell and a host of others, is one of the post-WWII thinkers on morality whose pronouncements have the distinction of being quoted extensively on political blogs on all areas of the political compass. This fact illustrates two notable points: 1) The practical uselessness of moral generalities; 2) The grip that Nazism, or more accurately its aftereffects, has on people today, particularly on their moral judgments. A writer whose deep and clear thinking about totalitarianism is invaluable, yet does not guard against the possibility of inverting the good and the evil. I will begin with the second point. That Nazism was evil is one of the few points of concensus extant between Right and Left today (not the Muslims, however—for much of the Muslim world, Hitler was a divine emissary who didn’t finish his job). But this concensus is of no utility in reaching a concensus in moral judgment, for each side uses Hitler and the Nazis for its portrayal of what is wrong with the other side. Hitler was an atheist, a Christian, a pagan, a homosexual, a vegetarian, a harborer of sympathy with Islam, a scientific fundamentalist, a cloudy-eyed mystic, a corporatist, a socialist, a Luddite, a techno-utopianist—you name it, the allegation has been supported by selected quotes of his and used as ammunition against the other side, as in, “Hitler was X, therefore X is evil”. Much as I loathe Godwin’s Law as an easy pretext for silencing arguments (a feature it has in common with the term, “troll”), it is not difficult for me to understand why there came a need for that law to be formulated: comparison to Nazism and Hitler is such a lazy way to win the argument. 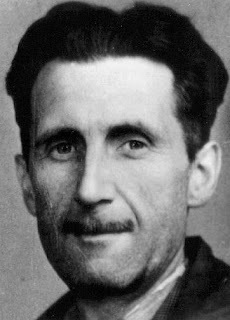 Orwell’s 1984 can be used by conservatives against the creeping socialist totalitarianism of the European Union, but also by the progressives against anti-terrorism measures (foremostly the PATRIOT Act). Pastor Niemöller’s “First they came for the Jews…” is now the paradigm of “speaking against evil, speaking truth to power”—equally useful for supporting cartoonists who draw disparaging images of Mohammed, and for bolstering one’s fiery insistence on comparing Zionists to Nazis. And anarcho-primitivist John Zerzan described the rank and file functionaries sustaining the “capitalist war machine” as “little Eichmanns”, which Ward Churchill, a university professor of honorable Native American pedigree—the ancient and most noble Wannabi Tribe—was only too eager to take in describing the people who jumped to their deaths from the windows of the burning World Trade Center towers. I think the case for the bankruptcy of moral generalities is one of the easiest to make. Those generalities are the Cliff’s Notes and fast food of morality today: they alleviate people of the hard work of making judgments on a case-by-case basis, by giving them catch-alls. The generalities are conclusively proven to be useless by the fact that they are postdictive rather than predictive—it is not from them that one comes to make his moral pronouncement, but the opposite, one first has his moral conviction and then uses the generalities in order to give weight to them. An anti-Islam activist publishing a book exposing Islam and an anti-Zionist academic publishing a book “exposing the all-pervading influence of the Israel lobby” can both quote Orwell’s, “In times of universal deceit, telling the truth is a revolutionary act” to hammer home the moral rectitude of their endeavors, but it was not Orwell’s quote that led them to it. Conversely, moral generalities stemming from the aftereffects of Nazism can be used to nip sane and vital measures in the bud. None other than the branding of activities for stopping the Islamization of Europe as “racism” is the best example of that today. Nazism as a viable force is long gone, but it looks as if ideologues on all locations on the political compass are still in the thick of fighting it. Analogies as guidelines and aids for clarity are good and useful, and I have made them myself quite a few times. But like wine, they can be harmful unless taken in moderation—morally deleterious if one sinks into them, if one is immersed in them to such an extent that he can no longer distinguish between the analogy and the real. In the view of how so many political bloggers tend to wallow deep in historical comparisons (not necessarily to Nazism—the Left’s favorite is the Vietnam War), I often feel like quoting that classic line from Spaceballs : “We’re at now now”. Yes, there are historical similarities galore (not least of which the repeat of 1930-ish appeasement), but the present, it must not be forgotten, still speaks in a voice of its own, with things that are not exact repetitions of what took place in the past. Even if the Leftist is right in comparing the rhetoric of some right-wingers (for example, my own calls for mass expulsion of the Muslims from within and near all non-Muslim states) to words from 70 years ago, the comparison does not cement his argument, for the situation is not what it was 70 years ago. The Leftist may compare the Israeli security barrier to the Berlin Wall, using the coinage “Apartheid Wall” to make his point, but that entire analogy comes to nothing in the face of the situational reality, the reality that the Berlin Wall was erected to keep people in whereas the Israeli security barrier is there to keep suicide-terrorists out. I have emphasized the word, “situational”. This word, especially when part of the term, “situational ethics”, has gotten a bad reputation, and undeservedly. Undeservedly, because that reputation stems from a serious misconception: that “situational ethics” and “moral relativism” are synonymous. Not only are they not synonymous, but also, Jewish law is based on the former while being most emphatically in opposition to the other. I don’t know when the misconception started—it seems to me that the pivotal point for it was when, in the 17th century, King James’ translators committed the error of translating Exodus 20:12 as “Thou shalt not kill”, instead of the correct “Thou shalt not murder”. Did they make that choice because they wanted to prove God speaks only in moral absolutes? Maybe. Whatever the case, that may well have been the beginning of the downward slide of the reputation of situational ethics, ethics that are the mainstay of traditional, orthodox Torah legislation. Ethics which, if they came back to be applied today, could haul us out from the moral quagmire and every-man’s-land of generalities. An antidote to generalities through casuistry. “Casuistry”. Yet another term whose reputation has declined over the ages. In this case, the decline is partly deserved, but its extension to morality is not. Deriding casuistry in philosophy is appropriate: as philosophy deals in generalities, going into particulars only in attempt to generalize overarching truths from them, the use of casuistry (case-by-case determination and analogical extension) in it is an exercise in futility. Casuistry in philosophy was once as damaging to it as postmodernism is now. But the world of morality is different. It is different because, while philosophy treats the universe as a giant abstraction to be made sense of, morality deals with a multitude of entities and ever-changing realities. Far from being damaging, casuistry in morality is the only sustainable method, for, as my above survey of the effects of confining oneself to moral generalities shows, generalities are useless in capturing all the permutations. Yes, there are guidelines in Judaism. “‘Thou shalt love thy neighbor as thyself’—that is a great rule in the Torah”, says Rabbi Akiva. I did not say guidelines are useless, only that guidelines alone are such. Guidelines are vital in order to maintain the spirit of the law. Comprised of decrees alone, a system of law could easily degenerate into a bureaucratic code, followed spiritlessly without regard to conscience. The Second Temple, our sages tell us, was destroyed because the Jews ruled according to the Judgment of Torah—according to it alone, the letter of the law alone, turning God’s Law into a technical manual, without ever walking the extra mile to accommodate the calls of conscience. Had they paid heed to the guidelines, that could have been prevented. The guidelines are the watchdog of the spirit of the law. But that was the problem then, while now we have the opposite problem: moral guidelines are either used alone or, if accompanied by case-by-case laws, the guidelines are invariably used to support the laws rather than to correct them. So the sentiment of the day is either, “Leave out all those laws, all you need in order to lead a clean life is a few guidelines”, or “You should do as this law says, because it is according to the guidelines”. Of the first position I have given many examples in this post. The second position underlies the calls (from the anti-Establishment hippies, no less!) to respect laws when they are in accordance with their principles, such as laws criminalizing “hate speech”. Or witness how the Leftists use the generality, “No peace without justice”, in order to invoke the United Nations and international law when calling for the Jewish State to capitulate to the demands of the “Palestinians”, while castigating the same United Nations and the same international law when they think it is being “subverted by corporate America’s interests”. This is where the death of moral casuistry leads. Moral generalities are such a pitfall that they can lead even to heresy. Take the aforementioned mistranslation, “Thou shalt not kill”. From even a cursory reading of the first book of the Bible, it is easy to see God has killed, and killed many. Thus, in the name of warding off situational ethics, you get a God who doesn’t keep His own word. With the correct translation, “Thou shalt not murder”, this is rectified. Oh, but you say it makes God’s ethics situational? So what? There is an idea here that many people today are either ignorant or unaccepting of: “Situational ethics” and “moral relativism” are not synonymous terms. When this truth is understood, it changes everything. And I mean everything. It changes your moral view of the world into something saner, and something—dare I say it?—much more reality-based. For example, if you are shackled to the generality that mass expulsion is an evil act, absolutely, unequivocally, irrevocably, with no room for debate, then you are liable to get into a situation where you cannot employ the only means that could possibly save you from a life of serfdom (at best). But under casuist law, you can evaluate criteria according to which mass expulsion is good or evil. We can thus distinguish between those who wish to keep their fishbowl free of piranha (good) and those who want their fishbowl to have only one type of fish, their own type (bad). This way the moral generality that sweeps both under the rubric of “racism” (“Evil, evil, evil! And don’t you dare to even think otherwise!” /moonbat off) is kept at bay, and in its stead comes a judgment that is much more cognizant of the facts at hand. This is just one example of how the casuist view changes everything. Jewish law strives to cover everything, just as HaShem is the creator of all things. The Halachah, in contrast to the Aggadah (Jewish lore; of which our sages say, “From reading it, you get to know the One who said and the world came to be”), deals in cases everywhere, from the individual’s first actions upon waking up in the morning to the laws of statecraft, laws which are only now, after 2,000 years of statelessness, in the process of being reactivated. Halachic debate from the Talmud onward is about covering all the possible cases, much as a programmer, even after having designed his program with the best of forethought (“guidelines”), still has to spend time tracking bugs (“cases”). Casuistry does not always lead to a unanimous verdict; however, unlike generalities, even multiple decrees take the facts at hand into account. This has special merit today, in guarding against the misapplication of generalities to situations where they are not appropriate. I can still quote Arendt and Orwell if I so wish. However, my political readings of just the past year alone make one thing clear to me: they are not a sound basis for deriving moral decisions. My choice will therefore be the tried, true, traditional Jewish one: the case-by-case morality of the halachah. God created His world complex and full of variations, therefore His law too, though absolute (indeed the only absolute and authoritative source of law there is), is complex, taking into account the situation in front of us. A more than excellent post, in that I had held a false equivalence between "Moral relativism" and "Situational ethics". however, I think the false equivalence arose from those who use a version of "lifeboat ethics" (I.e. the ethics applicable in short-term emergencies) that they called "situational ethics" (because the true label of the situation would have destroyed the force of their argument) and then used the extreme case to justify moral relevance in ALL cases. This wasn't on my list of "things I need to think about because they seem to be squirrely", but it probably would have eventually gotten on the list, so my sincere thanks for having covered it and corrected my misconception. There is, in fact, a good analogy to use to describe the methodology and applicability of situational ethics: Physics. I was in a lawsuit where the lawyer tried to pass off to the jury the 'fact' that if my car backed into another car, that other car would react 'in the same way'. She called me to the stand, asked how fast i was going, at which point I told her that, although Newton's third law was indeed always true (absolute), the REACTION is governed by two equations that use BOTH mass and velocity, so to say that the plaintiff's car, heavier by 50%, moved at the SAME SPEED as mine when I backed into it, was physically impossible. She demanded my credentials, which I named, two of which have the word "physics" and came from recognized institutions of higher learning. She asked me if that was my opinion, and I said "It is physical law, not an opinion." For the remainder of the trial, I was considered the resident "rocket scientist." I am NOT saying, of course, that ethics are a projection of physical law, merely that even physical laws are situational, and can serve as an "illustration" of how something can be "situational" and yet be also adequately analyzable to yield an unambiguous answer, provided that certain rules are followed. The absolute law is that "if one moving body strikes another unfixed body, there will be a reaction". However, determining what exactly happens in an actual collision requires measurement and calculation. I.e. It's situational. Take Jimmy carter's moral error of focussing on the mote in the Israeli eye while ignoring the log in the Paleostinian eye: in physics, that's like looking at one ball and leaving out the other entirely in the equations. The situation with the unthinking condemnation of the Duke lacrosse players by the faculty is like saying that the color of the balls is what counts in computing the collision, when the mediating laws require velocity and mass ONLY. Another analogy (not a proof). Chemical reactions require being tied to a time scale in order to understand fully. However, some chemical reactions are irreversable, reflecting deeply the fact that the reaction is tied to time, and that the irreversability is due to time flowing only in one direction. This is why we do not seriously entertain claims that a man can turn ash into a log (and that, if we actually see a man turn ash into a log, we look for alternative explanations, such as trickery or divine intervention). I bring this up because time is a factor in situational ethics as well. To insist that two men, both with black eyes, must be charged with assault, is to ignore the possiblity that one man struck the other first. In that situation, it is justice, not "unfair!!! "-ness to accuse one with assault and justify the other's actions as "self-defense". This illustrates the laziness of the "moral equivalence" crowd, who either are inadequate or venal in trying to avoid the "causality" aspects of situational ethics. indeed, the concept of "you caused it" implies that the ethics being applied is situational, and that there is a temporal component of the situation that must be considered. For instance, those who condemn the crusades as "starting the war between Europe and Islam" commit this error by ignoring four centuries of prior Muslim assaults, invasions, and atrocities. And here's something from the physics analogy that may be worth considering when thinking about situation ethics: Symmetry. "Breaking symmetry", or not applying the same laws before and after the event, or applying them to one set of entities in a reaction but not the other set involved in the same reaction, is a MAJOR ERROR in working out physics problems (dividing by zero or getting infinity is the analogous red flag in the field of math). There's some debate about symmetry being broken at the subatomic level or at the beginning of the universe, but the arguments end up conceding that if symmetry is broken, the physics are unknowable: I.e. you cannot say ANYTHING about anything before symmetry was broken. The analogy to situational ethics should be obvious: breaking symmetry means applying one set of rules to one party of a situation, and a different set to the other. It's called "hypocrisy" if the arguer is in one of the two sets, but the latest twist is the "outside 'disinterested' observer" that does it, then argues its not hypocrisy because he is not one of the two parties involved. They would be right, but then it would be called "ethical incompetence" or "being a judge who was bought". Urk, I mean "relativity", not "relevance"
"I am NOT saying, of course, that ethics are a projection of physical law, [...]" - No, but both ethics and physics share those characteristics because they are of a single authorship! What a great insight you just provided me with. Regarding Carter (spit): Did you hear? He just recently said US talk of genocide in Darfur is "unhelpful". This is a far greater moral outrage than his one-sided treatment of the I/"P" conflict. That's the same man who has no hesitation to speak of "Israeli apartheid", and no doubts as to the helpfulness of such terminology. The moral abyss of generalities once again. Casuistic investigation is beautiful. Sweeping generalizations like "Keep it simple, stupid!" and the opposing "Reality is complex" are unwarranted. I have no other methodology than this: When simple, I will not complicate, and when complex, I will not simplify. Whatever the case at hand. for much of the Muslim world, Hitler was a divine emissary who didn’t finish his job..so true and so denied by the lefties and even right wingers at time...excellent read my friend!!!!!!! You presented a lot of arguments, but the words cannot convince. Only reality can convince and only reality is final judgement. And reality is such that those who wanted Palestinian state so much now have it in their own countries - the more wanted the more have. It is not that I am glad about it, but simply what was hidden now has became obvious. And that maybe even good because in order to cure the desease you must at least know about it.